Beijing World Youth Academy’s (BWYA) student band, Ivanbird, is inviting everyone to its grand concert night on June 25. Ivanbird band members say they are excited as they will also release their first album, Tethered. “Music is the only way I can clearly express myself without feeling awkward. I am an empty husk without music, I worth nothing if I can’t make music,” said Niu Mao, the band vocalist and keyboardist. Eleventh-grader Niu Mao, who released her personal album, Beautiful Chaos last year spring, is passionate and talented that her music touches audiences. 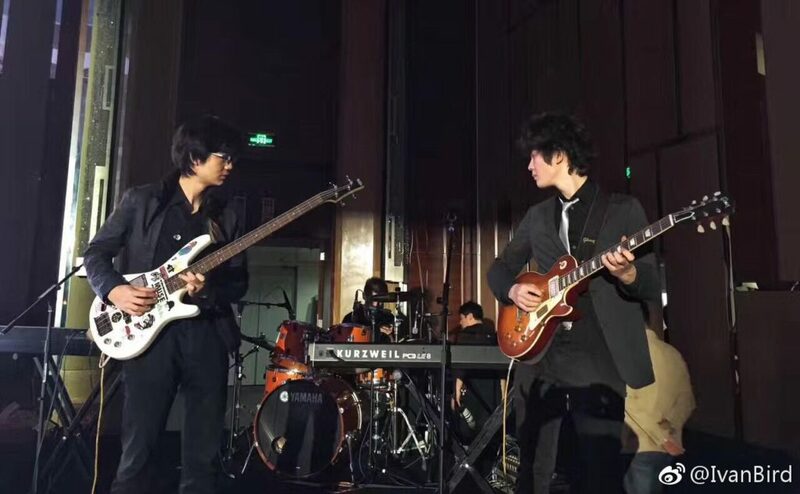 Other band members include Grade 11 students Rendolm Qian and Ivan N., who both do vocals and keyboards, drummer Mike Wang, and guitarist Xu Luyang. The band members say despite the pressure and homework load, they still manage to find time to practice each week. Tethered includes a wide variety of genres, including experimental rock, post-rock, new age, jazz musical, psychedelic pop, and garage rock. All the nine songs in the album are composed and completed by the band members. Don’t want to miss a crazy night filled with music and its passionate musicians. Get your tickets here. Photos courtesy of Penelope Zhang. This article is written by Penelope Zhang from Beijing World Youth Academy (BWYA). Interested in writing for beijingkids? Email us at webeditor@beijing-kids.com or visit our Student Correspondents Program main page for more information.